How do I know if the paralegal profession is right for me? In a nutshell, the paralegal profession is right for you if you have a passion for the law. Your paralegal education will provide the knowledge and skills necessary to perform well. But, nothing spells success like a desire to excel, dedication and determination. Talk to other paralegals and attorneys in a variety of practice areas. Shadow them for a day or more if you can. Above all, evaluate your appetite for the law. How are your programs different from short-term programs? Graduates of Center for Advanced Legal Studies complete a minimum of 24 semester hours of legal specialty classes to earn their Paralegal Certificate. The programs are accredited and are approved by various state and national approval agencies. 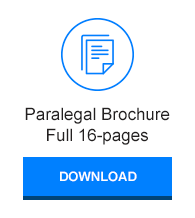 In contrast, short-term paralegal programs are brief, non-credit courses that are usually found in continuing education departments of various universities. They continue to exist even though top paralegal associations and educators have long denounced their credibility. The National Federation of Paralegal Association (NFPA) written position statement regarding short-term programs is: Position Statement Regarding Short-Term Programs. The American Association for Paralegal Education (AAfPE) also has a Policy on Short-Term Programs, which states that "these programs do a fundamental disservice to the legal profession by creating unrealistic expectations in both employers and students that a quality paralegal education has been delivered when such may not be the case." CALS encourages anyone interested in pursuing a paralegal career to conduct a thorough investigation of prospective programs to ensure that expected outcomes can be achieved and professional goals attained. What are my prospects for employment after I graduate from the Center? The job market is good! As a graduate of CALS, you will receive individual attention from our Director of Career Services that includes assistance in resume writing, interview tips, salary negotiation, follow-up, and acceptance of an offer. Do I need a degree to enroll in the Paralegal Certificate program? A degree gains you automatic acceptance into the Paralegal Certificate Program. There is no question that a student without a degree should earn one to help facilitate their advancement in the profession. Whether the degree is earned prior to entering the program, or earned as a result of completing the program and transferring on to the Associate of Applied Science Degree program, we have a way for students to reach their goal. Ask your admission advisor how you can gain acceptance into the certificate program prior to completing your degree. Students accepted this route will be able to earn both a certificate and a degree that will satisfy requirements of most employers. Will obtaining my paralegal education help if I go to law school? Yes, without question. As a graduate of CALS and a new law school student, you will suddenly become very popular with fellow students who “don’t have a clue” about legal research, procedure, contracts, etc. Many of the fundamentals of law and theory learned at CALS will be repeated in law school. However, most of the practical skills you gain here will not be addressed in law school at all. Will a paralegal education help? Absolutely. How do I know if I'm a good candidate for online classes? To further assure compatibility with online classes, students are given an opportunity to opt out of their program at the end of the first four week of class with no financial obligation. Likewise, CALS will evaluate progress at the end of the first four weeks of class and determine a students’ progress, and if it is lacking relative to attendance, grades, and attitude conducive to learning, the student will be released from the program, again with no financial obligation. As a paralegal, where are my opportunities to work? Research shows that most paralegals work in law firms. However, many businesses other than law firms utilize paralegals. Such employment is not unusual. These employers include banks, mortgage companies, airlines, churches, non-profit organizations, hospitals, the government and many other businesses. Paralegals may also work independently on a contract basis locally or at a distance; however, the unlicensed practice of law (UPL), can become an important issue especially when a paralegal has a business of his or her own. In all cases, a licensed attorney is ultimately responsible for a paralegal’s performance on specifically delegated substantive legal work. To make you more competitive as a paralegal, our programs have a huge concentration of paralegal specialty courses. CALS provides its students with the necessary depth of paralegal training so they may begin a rewarding and challenging paralegal career. AAS Degree Paralegal Program graduates may wish to continue their education and eventually earn a bachelor's degree. If that is the case, please understand that our programs were not designed to be a shortcut to a four year degree. The purpose of the paralegal programs is to lead you to and advance your paralegal career. However, oftentimes CALS credits are accepted by a variety of institutions but their acceptance is strictly up to the receiving institution. The Center currently holds articulation agreements with Sam Houston State University and DeVry University. 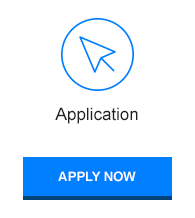 Some other four year colleges and universities have accepted credits based on our graduates' individual application and presentation even though no articulation agreement exist at these colleges. This is great news for individuals who seek to receive their paralegal credentials and start working as soon as possible yet still desire to complete their bachelor’s degree in the future. 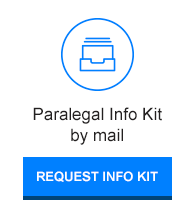 How can I pay for my paralegal education? No matter what your financial situation is right now, we have a professional staff and variety of plans to help you get through school and begin your paralegal career. While some students pay for their education as they attend, many of them rely on the financial assistance that is available for college students. Rarely is a person denied the opportunity to continue their education due to a lack of funds. 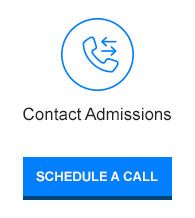 Contact us today and receive more details about your tuition payment options.